At this point in your wedding planning, your to-do list can be a tad bit overwhelming. Thankfully, the skilled wedding coordinators at Faulkner’s Ranch in Kansas City, MO have simplified the beginning steps for you to get you on the right track to making your dream day become a reality. There are three main numbers that you will need to know before you begin searching for and touring venues. Your Budget – This number vital to every decision that will be made in the time to come. Determine how much you would like/will be able to spend and how much of that amount you want to go to each aspect of your wedding. Your Guest List – The main reason that you need to determine this number at the beginning of your planning is because you’ll need to know this when you book your venue, decide on your menu, order your invites, etc. Also keep in mind that this number may have to be adjusted according to your answer to the first question. Don’t forget to include your wedding party (bridesmaids, groomsmen, flower girls, etc.) in this list. It’s also good idea to separate the list into A and B categories – A being guests that you absolutely must have; B being guests that if you have to narrow down the list, you could cut them. Your Available Dates – Look at your calendars together and pick at least three possible dates that would work for your wedding. By having more than one date available when you contact your venue will ensure that you get a date in the books earlier on. Sit down with your fiancé and talk about what your dream wedding day would look like. When you envision the look and feel of your wedding, what do you see? Remember, you want your wedding to be reflective of you and your future spouse’s personal style. So take some time to sit down together and write down what different things you would each like to have in your wedding from decor to food to attire. Brides-To-Be, Pinterest is going to be your best friend! Begin saving images that you like and perhaps consider starting a wedding binder if you don’t want to bring your iPad or computer along. All of these images will come in handy when you meet with vendors, go dress shopping, etc. Keep in mind, there are no hard and fast rules about what you can and can’t have in your wedding so be sure to include what you want. After all, it is a day to celebrate the commitment between the two of you so it should reflect that love! Now that you have the important numbers and the look/feel you are going for, it is time to schedule venue tours. Venue dates fill up early, so you want to check this off your list as soon as you can. Don’t delay reserving your venue spot! Your choice of venue and what they provide will determine the rest of your to-do list. For example, at Faulkner’s Ranch, catering is included with our wedding packages so brides just need to select their menu. No need to search for a caterer. The same goes for a DJ. We work with the same DJ’s over and over again, not only because they are the best of the best, but because they know our venue inside out and we can guarantee that they know how to MC a fantastic reception. We understand how overwhelming it can be to find a place for a wedding, so stay tuned for our next blog on what to ask and look for when you tour a potential venue! 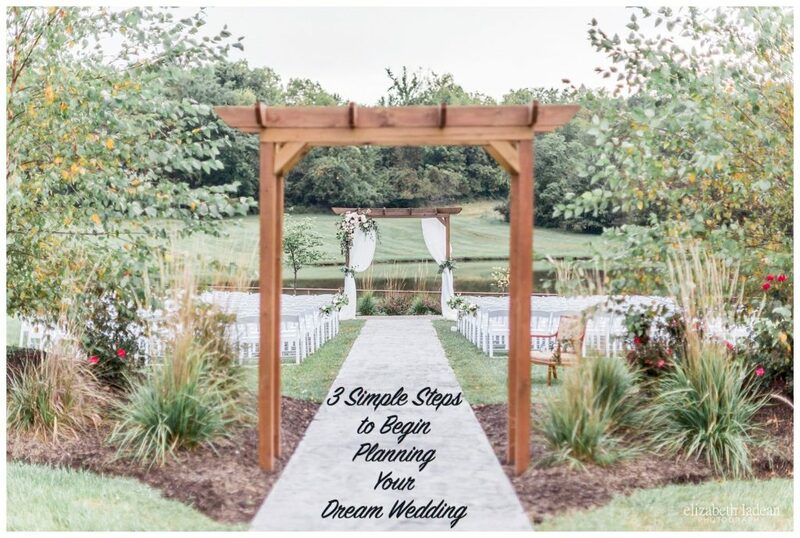 So there you have it – the three simple things that you need to begin the process of planning your dream wedding! Trust us, we have coordinated hundreds of weddings and we know for a fact that if you get these things done in the beginning it will make the rest of the planning a breeze! 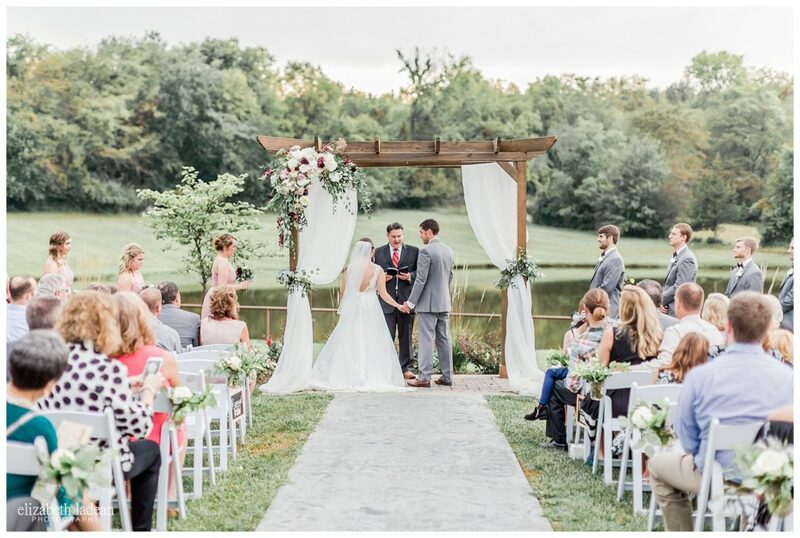 Of course, if you have any questions about having your Kansas City wedding at Faulkner’s Ranch, please give us a call at 816-761-5055 or visit the wedding section of our website.